After announcing the HTC One A9 and Desire 828 smartphones last month, HTC has announced the price and availability details of the HTC Desire 828 Dual SIM. The company has already announced the pricing and availability of One A9 smartphone last week. The Desire 828 dual-sim will be available in India via Flipkart starting today, priced at Rs 19,990. The smartphone is available in Dark Grey and Pearl White colours. 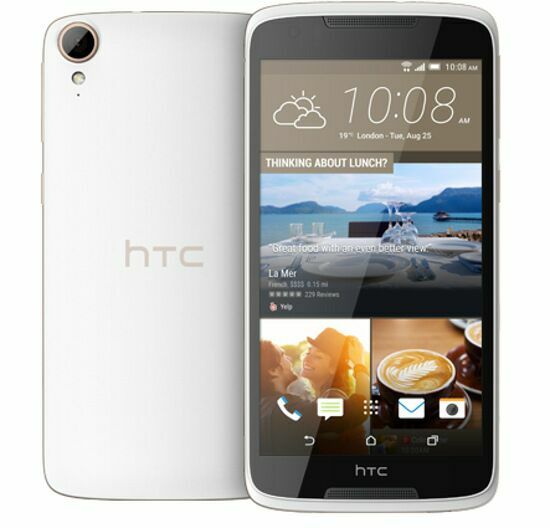 The HTC Desire 828 Dual SIM runs Android 5.1.1 Lollipop OS with HTC Sense and features a 5.5-inch Full HD (1080x1920 pixels) IPS display. The handset sports a 13MP rear camera with LED flash, OIS, BSI sensor, and full-HD video recording. The handset also packs an UltraPixel front camera with a BSI sensor. HTC 828 dual-sim is the first desire smartphone to come with Optical Image Stabilization. The dual-SIM HTC Desire 828 Dual SIM is powered by a 1.5GHz octa-core MediaTek MT6753 SoC coupled with 2GB of RAM. It also comes with 16GB inbuilt storage which is expandable up to 2TB via microSD card. Connectivity options on the handset include Wi-Fi, FM radio, Bluetooth, GPRS/ EDGE, GPS/ A-GPS, 3G, Micro-USB and 4G LTE connectivity with support for Indian networks. The handset is backed by a 2800mAh battery. Much like other recently launched HTC Desire smartphones, the Desire 828 Dual SIM features HTC BoomSound technology, which is complemented by Dolby Audio as well. The handset packs ambient light, accelerometer, compass, and magnetic sensors.